Have I mentioned we’re on a heavy rotation of chicken? I’m hoping as long as I dress it up in different ways, husband won’t mind too much. And I’m realizing I need to branch out a bit, maybe even try my hand at a few fish recipes. 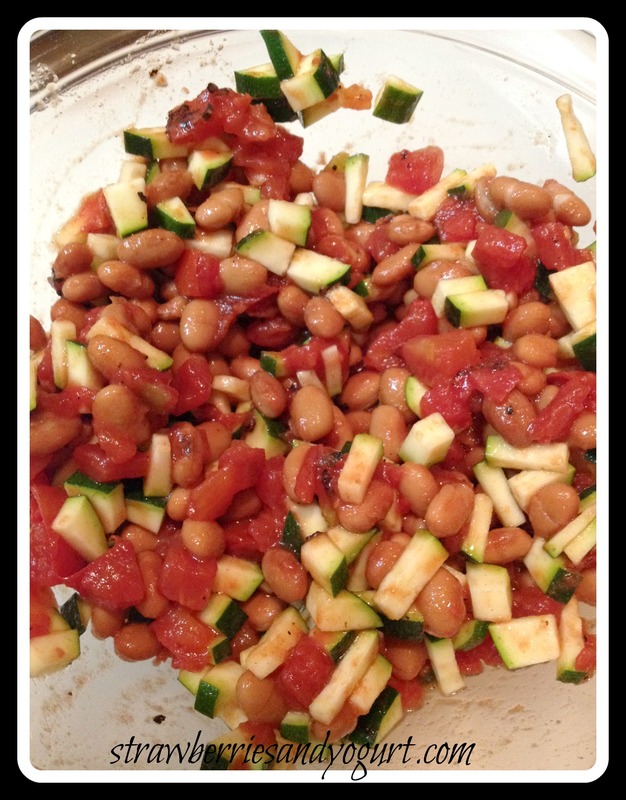 This recipe is from Cooking Light, June 2010. 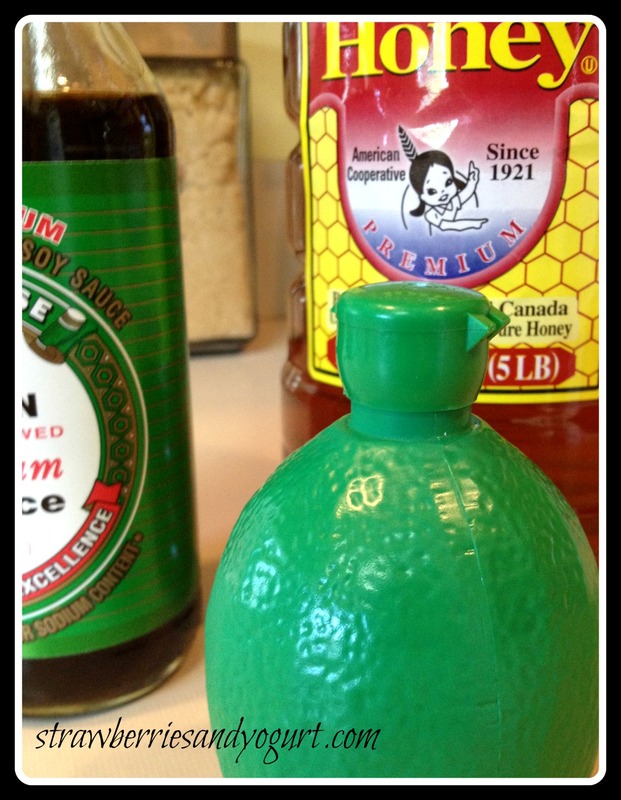 Combine lime juice, soy sauce, honey and chipotle in a large bowl. Add chicken and toss well to coat. Let stand 10 minutes at room temperature. 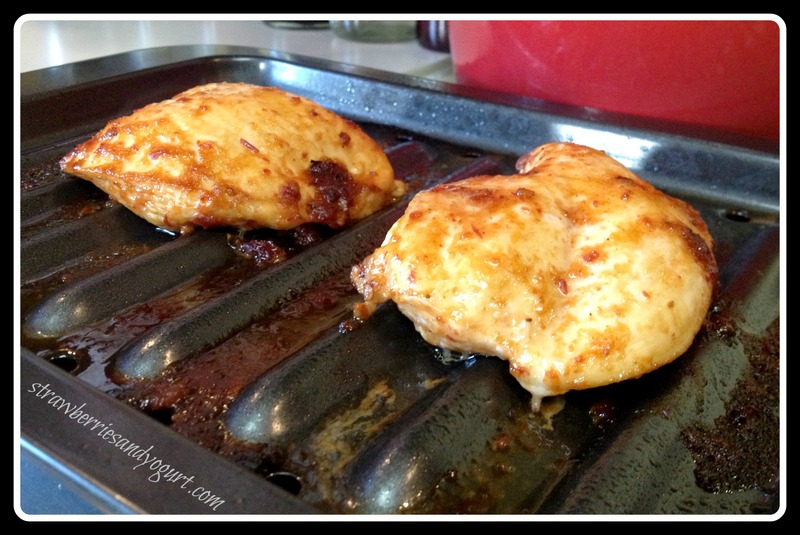 Arrange the chicken on a broiler pan coated with cooking spray, reserving marinade. Bake at 400 degress for 15 minutes. 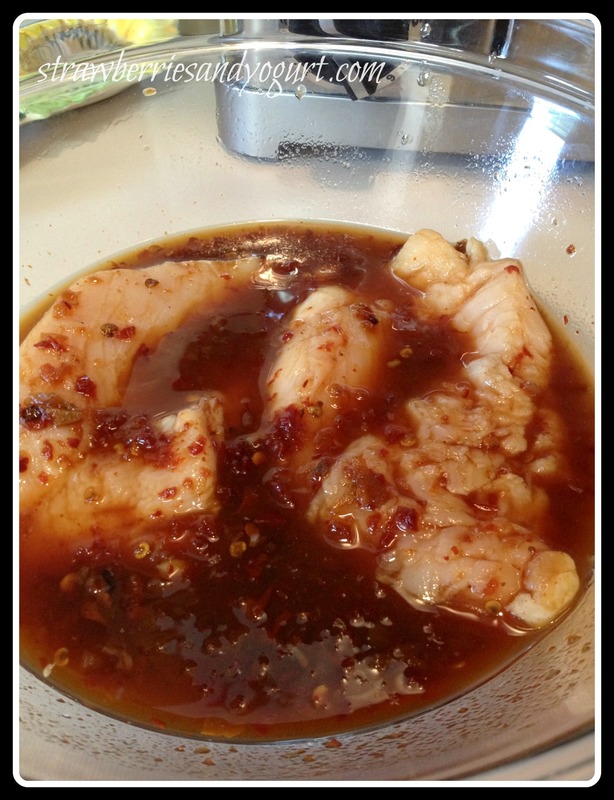 Place reserved marinade in a blender, and process until smooth. Place purred marinade in a small saucepan. Bring to a boil and cook 3 minutes. Brush chicken with half of cooked sauce; return to oven and bake an additional 10 minutes; repeat with remaining marinade and bake another 10 minutes or until a thermometer registers 165. This is the best kind of chicken recipe. Minimal ingredients, one bowl and one pan, and very tasty. 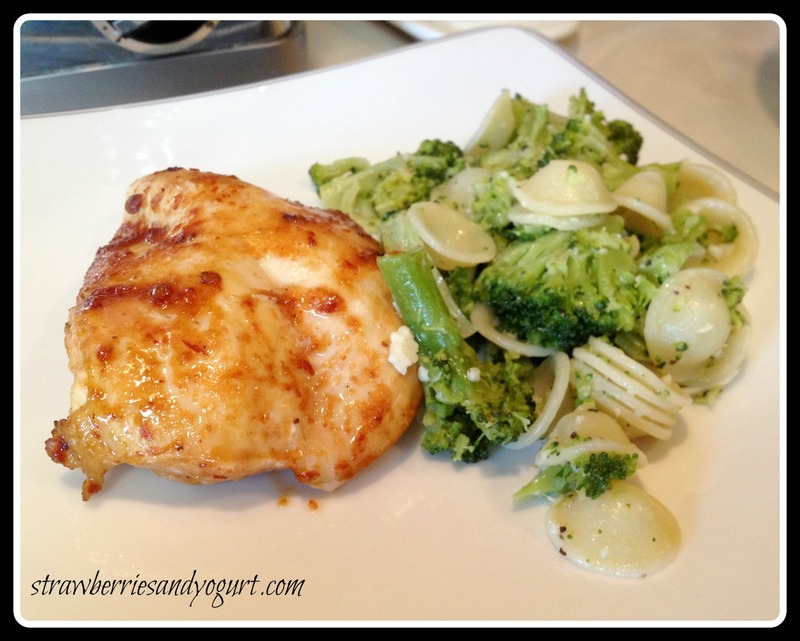 If you’re using chicken breasts like I did, you will need to adjust your cooking time. In my oven, this took 20, maybe 22 minutes. Sorry y’all for the unintentional break. Life gets crazy sometimes. This recipe is from Real Simple Magazine, May 2007. A few slight substitutions were made, noted below. 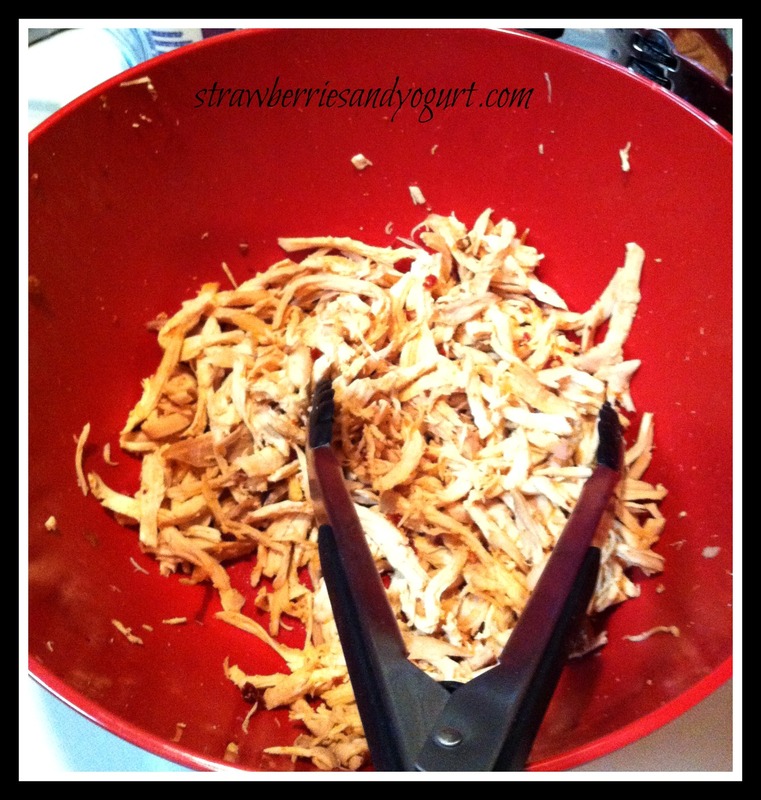 Using a fork or your fingers, shred the chicken meat, discarding the skin and bones. 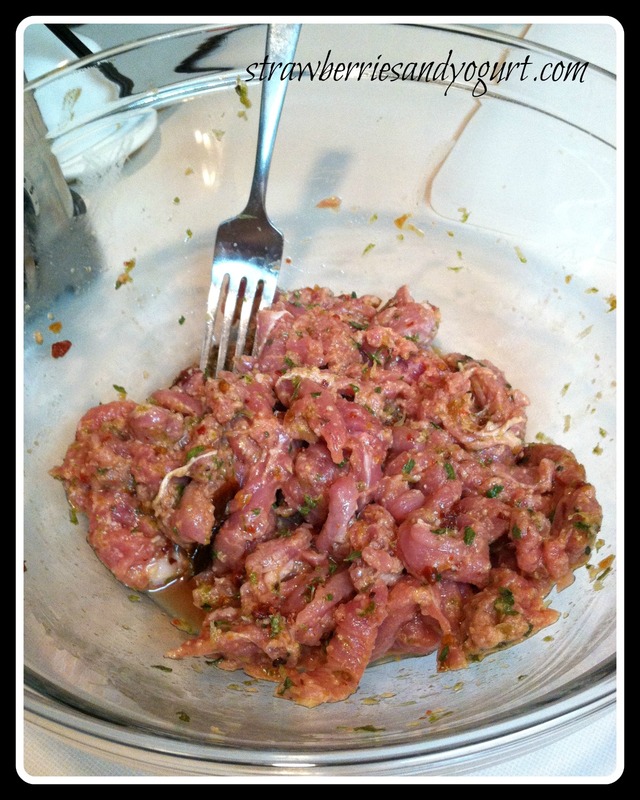 In a medium bowl, combine the meat, chipotle, line juice, 1/4 tsp of salt, onion, tomatoes and cilantro; set aside. Husband is not a fan of tomatoes, and I’m not a fan of raw onions. So – I combined everything but the onion, tomatoes and cilantro. I then spread the chicken mixture on a large baking sheet and put in a 200 degree oven, just to warm it up. The onions I sliced and put in a small saute pan on low and left them to caramelize. In a large bowl, whisk together the flour, cornmeal, baking powder and remaining salt. Stir in the eggs and ricotta until no lumps remain. Fold in the corn. Heat the oil in a large nonstick skillet over medium heat. 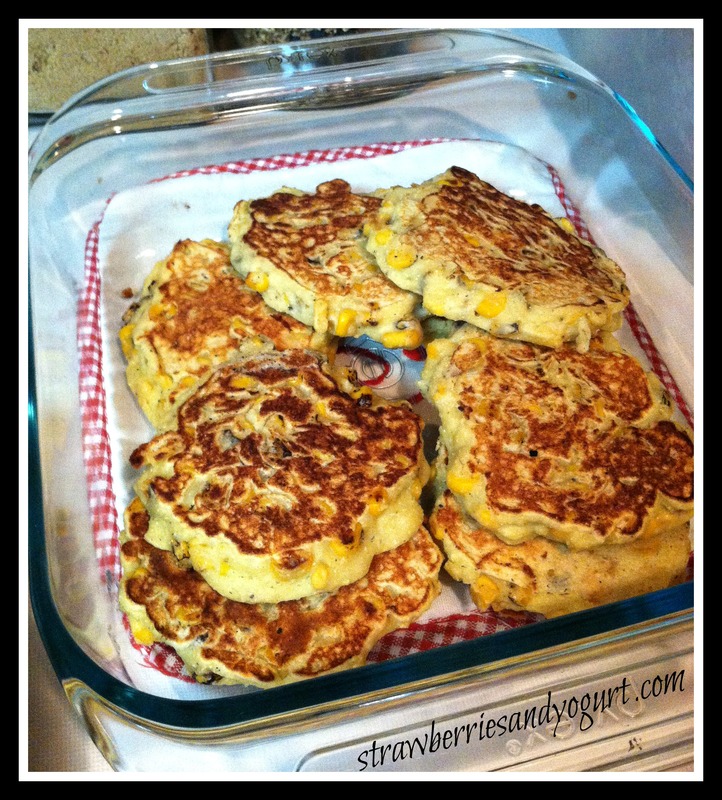 For each corn cake, spoon about 1/4 c of the batter onto the skillet and cook until golden brown and set on one side, 2 to 3 minutes. Using a spatula, flip the cake and cook 1 minute more. Divide the cakes among individual plates and top with the chicken mixture. Serve with sour cream if desired. We made these for dinner one night when some friends were visiting, and were enjoyed by all. And although we had a wonderful dinner, I felt like something was missing. Whip up a creamy chipotle sauce to go over the top? Add some cheese and put under the broiler for a minute? For me, it was a little dry and needed something to push it from good to amazing. Oh Mexican food, how I love you so. Growing up in California, I was surrounded by amazing Mexican food. There are a couple of favorite spots I will do my best to hit any time I’m home, but living here in the south it’s hard to find really good Mexican food. 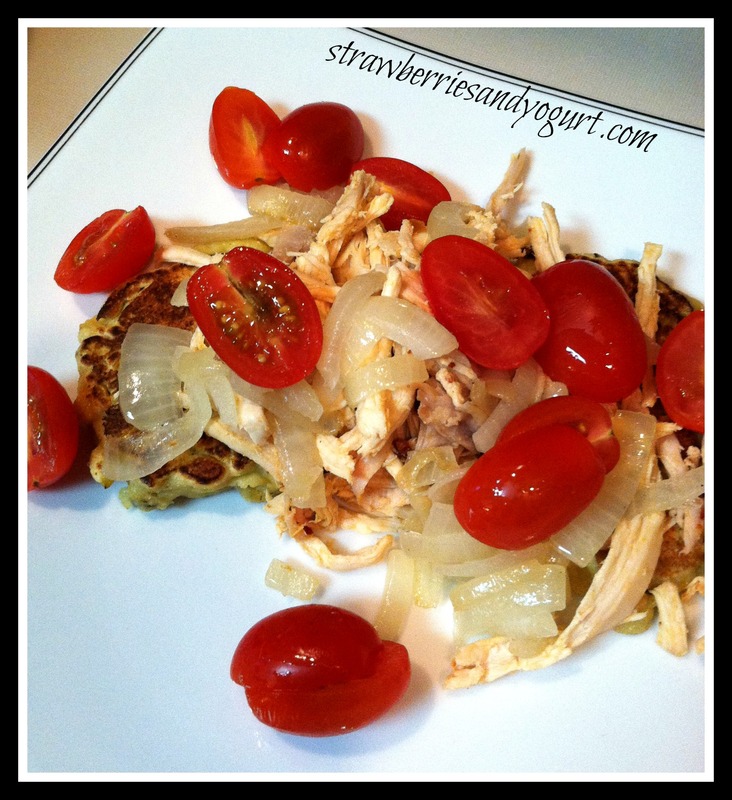 This recipe is from Cooking Light, April 2011. Place the pork tenderloin between 2 sheets of heavy-duty plastic wrap; pound to 1/4 inch thickness using a meat mallet or small heavy skillet. Remove plastic wrap. Cut pork into thin strips. Combine pork, lime rind and next 6 ingredients (through salt). Heat a large nonstick skillet over med-high heat. Coat pan with cooking spray. Add shallots to pan; saute for 4 minutes or until tender. Place shallots in a large bowl. Add oil to pan. 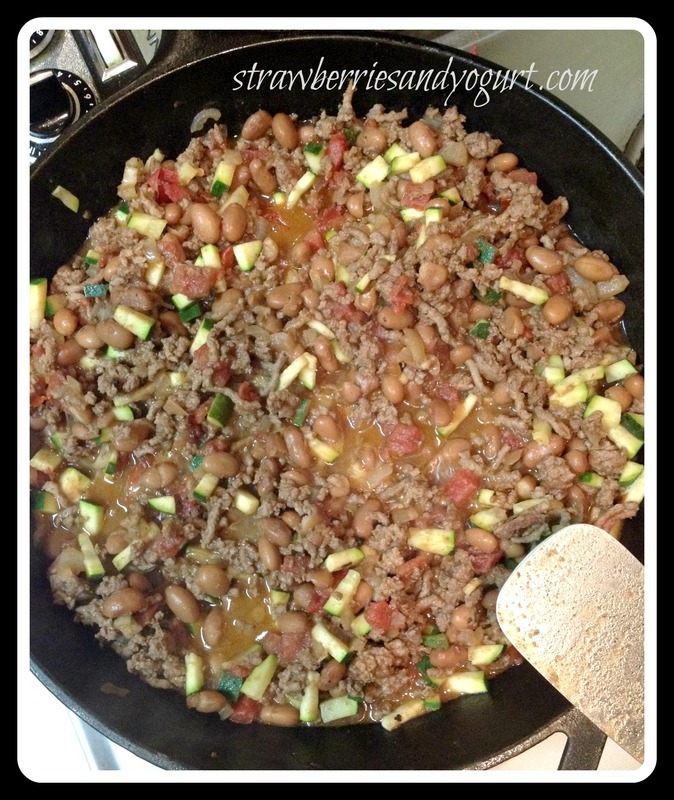 Add pork; saute for 3 minutes or until no longer pink. Add pork to shallots. 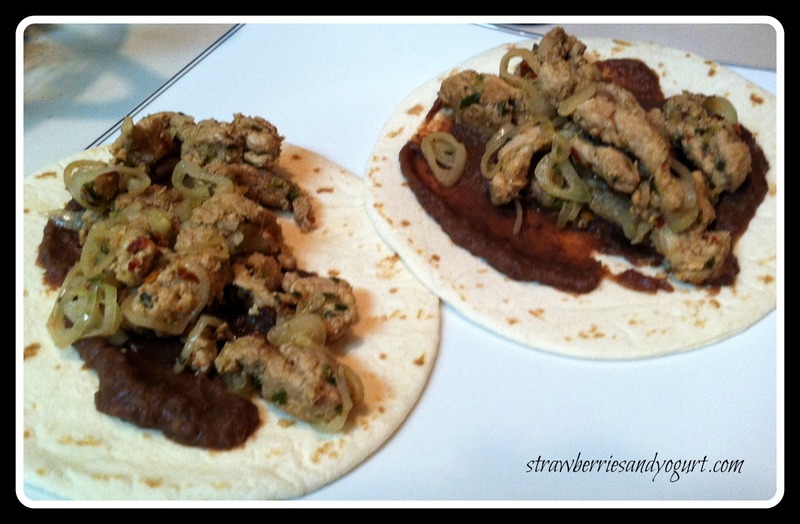 The lightness of the pork and the spicy of the chipotle was a wonderful mix, and we added some refried black beans – YUMMO! 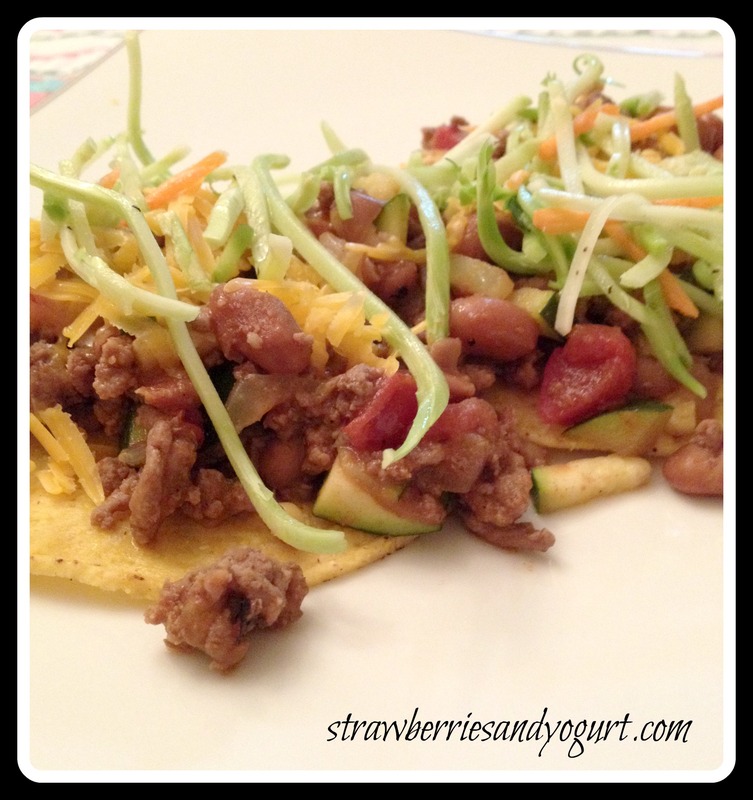 We enjoyed our tacos and used the leftovers for some amazing nachos the next night!